An international study by 59 biologists, including a Faculty of Science entomologist at the University of Calgary, has found a "staggering" number of fly species in one small patch of forest in Costa Rica—many of them unknown to science. The team of "fly systematists" conducted a first-of-its-kind, intensive survey of a four-hectare site of tropical cloud forest. They found 4,332 species, representing 73 families, of Diptera, the insect order of so-called "true" flies (which include deer flies, horseflies, mosquitoes, biting midges and other groups). That's equivalent to more than half of all known, or scientifically named, flies from Central America. But with further sampling, the actual total for the Costa Rican site could be more than 8,000 species of flies, the research team says. "It's staggering, the total number of species. Studies have probably severely underestimated how many species there are and the planet's rich biodiversity," says team member John Swann, an entomologist and manager of the invertebrate collection in the Department of Biological Sciences. Swann says of the 26 species of flies that he characterized from the Costa Rican specimens, only six species are known by science. "And that's only the tip of the iceberg, because we don't even know how these species function in the ecosystem." The Zurquí All Diptera Biodiversity Inventory project is the first successful modern effort to directly measure species richness of any megadiverse order of insects in a mainland tropical area. The team calls for an investigation of species through "beta-diversity" studies in a grid covering one degree by one degree (or about every 110 kilometres) over the entire face of the planet. "How can we manage and protect other species that co-inhabit Earth when we do not even know what they are or where they live?" says project co-leader Art Borkent, research associate at the Royal British Columbia Museum in Victoria, B.C. 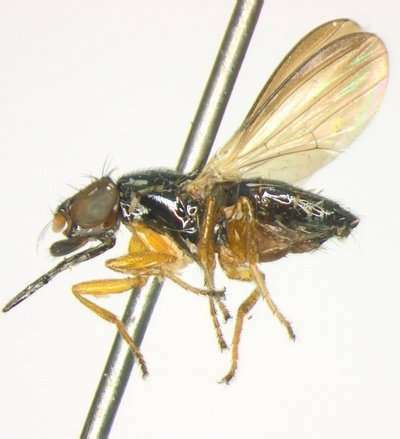 The team's paper, "Remarkable Fly (Diptera) Diversity in a Patch of Costa Rican Cloud Forest: Why Inventory is a Vital Science," is published in the journal Zootaxa. Another paper, "Comprehensive Inventory of True Flies (Diptera) at a Tropical Site," appears in the journal Communications Biology. Insects, which include flies, make up the bulk of the world's known species, outside of prokaryotes (microscopic, single-celled organisms including bacteria) and fungi. 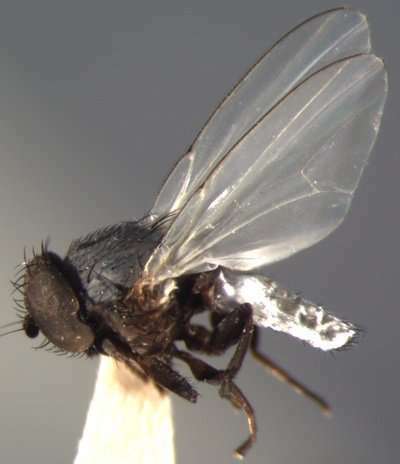 Often tiny and seemingly insignificant, flies comprise 10 to 15 per cent of Kingdom Animalia (the major group of animals) and they play a crucial role in Earth's ecosystems, Swann says. Flies are pollinators, including of the cocoa plant used to make chocolate. They are also responsible for much of the decomposition of biomass, and contribute to the nutrient cycle in ecosystems. "We'd probably be waist-deep in manure if it wasn't for flies and beetles," he says. The remarkable biodiversity discovered in the Costa Rican study can be extrapolated to Canada, Swann says. "I wouldn't be surprised if we could almost double the number of fly species in Canada, compared with current estimates." Canada signed the 1992 international Convention on Biological Diversity, with an objective to develop national strategies for the conservation and sustainable use of biological diversity, he notes. "If we're worried about environmental degradation and the impact of climate change, we need to know what species are there that we're losing or potentially losing." The team caught flies on a parcel of private land near the Instituto Nacional de Biodiversidad, Costa Rica's national institute for biodiversity. Researchers mainly used continuously running "Malaise" traps, which look like big, open-sided dining tents with a centre mesh panel. Flies hit the panel and either drop down and drown in a pan of soapy water or crawl up and drown in a jar full of alcohol. Six local technicians in Costa Rica sorted and prepared more than 52,000 specimens. The international team of taxonomic experts then examined each specimen under microscopes, to identify individual "morpho-species." That means each separate species showed differences in their morphology, such as body structure and markings, genitalia (both males and females), mouth parts, antennae and other characteristics. Determining morphology "is traditional science that the average person can do," Swann says, noting that the Entomological Society of Alberta was founded on the work of amateurs. "It's like doing a bird book in miniature." Two of the five families he specializes in, and which are known to inhabit Costa Rica, were not found in the study, which employed only one trap high up in the forest canopy. "Especially in tropical forests, I suspect that from my group of flies, at least half the fauna only occurs up in the canopy," Swann says. There needs to be much more research on the biology of fly species and the role they play in ecosystems around the world, he says.